I’ve been interested in Chinese humor for a while. Most recently, I’ve written about a few Chinese comics and Shanghainese stand-up comedian Zhou Libo. So I was quite interested in the Wall Street Journal’s take, which is initially about Chinese comedian Joe Wong. Apparently Joe Wong’s comedy works in the U.S. but not in China. It’s not your typical cross-cultural story. 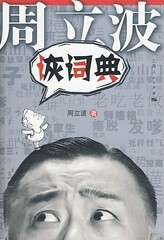 > Younger audiences are starting to warm to the stand-up style, with a Chinese twist. There are footnotes: after the punch line comes an explanation of why it’s funny. 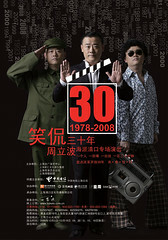 > In Shanghai, Zhou Libo’s stand-up show has become a top event. His repertoire spans global warming, growing up poor and, that perennial crowd-pleaser, China’s emergence as a global economic power. I’d be interesting in seeing more examples of this “post-punchline explanation.” From a sociolinguistic perspective, I wonder how universal it is, and if it follows certain rules. More examples are welcome! My wife recently introduced me to the humor site 一日一囧 (Jiong.ws). The videos she showed me were crude animations, each telling a single simple joke. Some were unfunny, some were Chinese translations of jokes I’d heard before, but a few very funny and worth sharing. Of the four clips below, the first three are linguistic in nature. You’re going to need at least an intermediate level of Chinese to understand these jokes. I’ve provided a transcript for the last one, which has a lot of narration but no subtitles. Priceless! This joke revolves around the words 草 (grass) and 日 (sun), and how they sound like the obscene 操 and 日 (same character and pronunciation, different usage). The funny accents make the joke work well. Of course, some experience in “overheard phone calls” in China also helps.